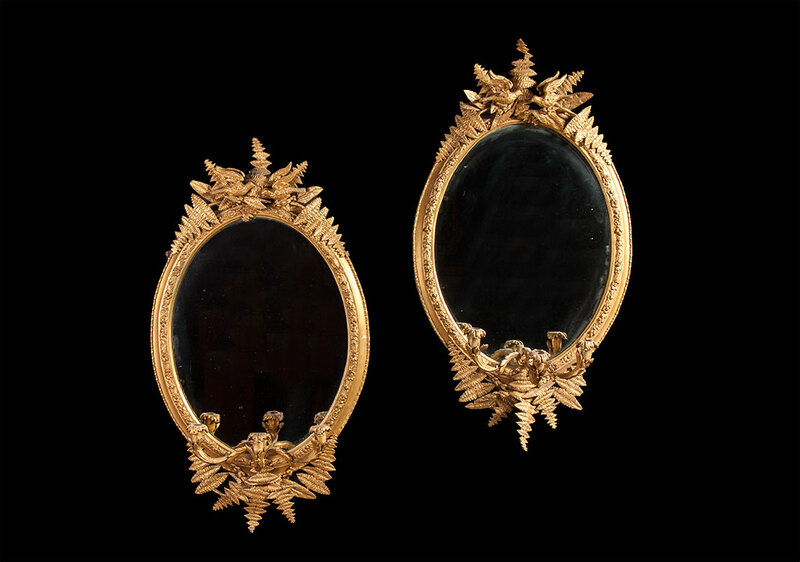 A pair of Victorian pine and gesso gilt girandoles, in the rococo rival taste. 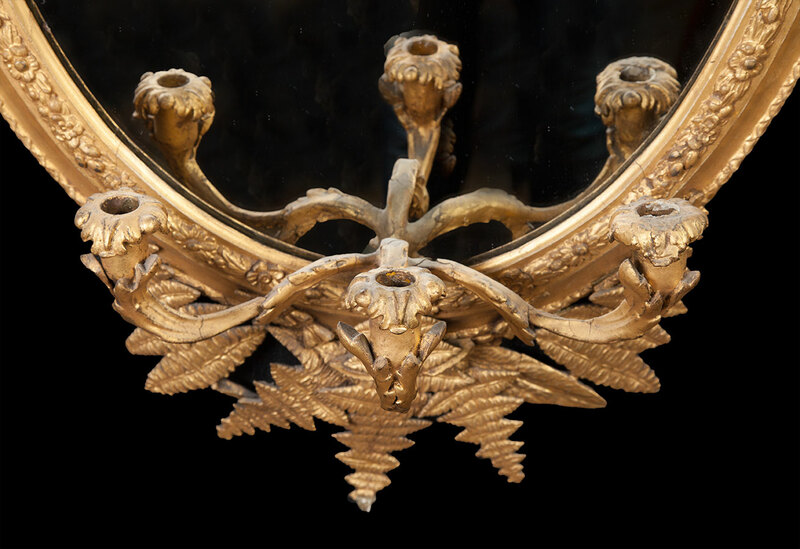 Each girandole having there original mirror plates and three scroll arms which holds candles. 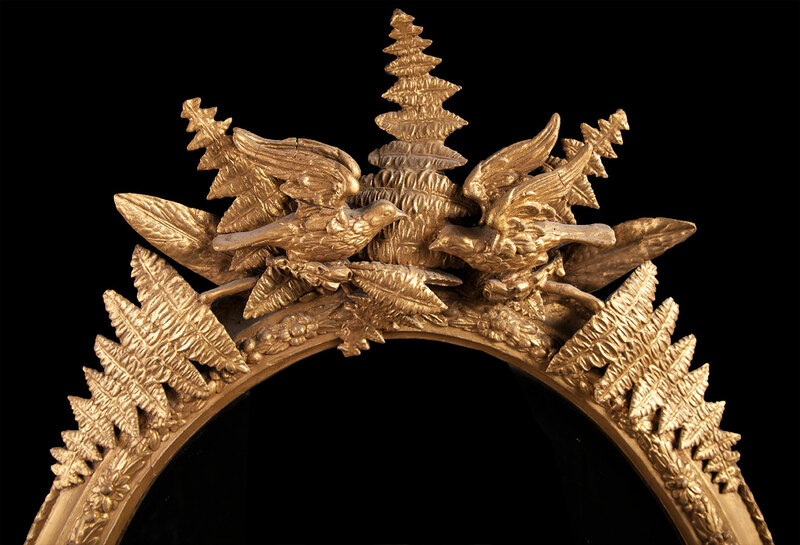 The oval frames are decorated with flowers and foliage. The aprons and pediments are of bracken leafs with two birds centred on top.